Our CPU of choice for this home/office machine is the AMD Athlon 200GE. This processor has two cores, onboard graphics, and is aptly suited for all software in the Microsoft Office suite or the comparable open source offerings. The Athlon 200GE includes a stock cooler, so 3rd-party cooler is not necessary. We're using a parametric selection of motherboards which will show the best priced motherboard based on our specifications. All of the motherboards feature the B450 chipset and an AM4 socket for compatibility with the Athlon 200GE. 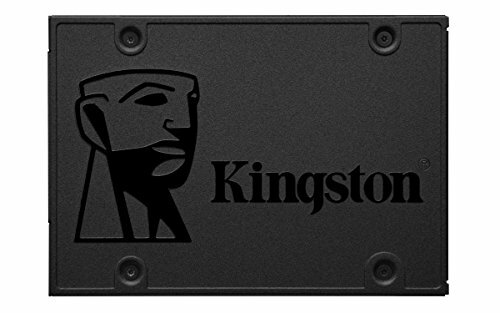 They also include 2 DIMM slots for up to 32GB of DDR4 RAM and are capable of using the CPU's integrated Radeon Vega 3 which is important for our office build as we will not be adding a dedicated graphics card. A parametric filter is being applied to choose the best priced 2x4GB kit of memory within AMD's recommended specifications. Ryzen scales well with memory frequency so we have upped the minimum speed to DDR4-2800. We're also using parametric filters to select the best priced 480GB or larger solid state drive. Everyone's needs are different, so feel free to change out capacities to fit yours or swap to a high capacity hard drive if storage space is more important. The Cooler Master MasterBox E300L is a budget friendly, quiet case that can fit all of our components. While it doesn't offer much in the way of cable management, there is room for plenty of storage in the hard drive cages. The case also has front panel USB 3.0 and a 5.25" bay for our optical drive. Cases tend to be highly personal choices, so make sure you browse our listed cases to see what suits you. For the PSU, we're using a parametric selection of a few well-reviewed units which are all rated for good power efficiency and can provide plenty of power for this build. There's no OS. Buying Windows 10 increases the price of this build by a third (Home) or two-thirds (Pro). This has to do with my comment how? You said it was perfect. I pointed out an imperfection in the design. I've made many mistakes in my life, but deliberately giving my debit card details to an organized crime group is not one of them. Linux support for the Raven Ridge APUs is very poor (as explained in my other comment - https://uk.pcpartpicker.com/guide/Jd2Ff7/budget-homeoffice-build#cx3169687). It's the main thing stopping me from buying one. You can just install a more recent distro. The Athlon 200GE only supports 2666Mhz. The PSU is an overkill for this build. If you can't spare a few more bucks to get a 2200G, you probably can't afford a semi modular PSU, too. My advice here would be just to get a cheaper PSU, there are plenty cheaper and trusted units, maybe a cheaper motherboard and spend a few more bucks on a 2200G, which originally was in this build. Even for just some browsing with 4 tabs open a 2200G is a better option. And it also has graphics good enough for some light 1080p gaming. I would stretch a extra 40 dollars, for a ryzen 3 2200g, or else, a fantastic computer for a average user! Is everything compatible in this build? Someone said CPU supports 2666Mhz only or something? Planning on putting GT 1030 in this aswell, i have budget room for a slightly better ram or cpu aswell i think, but may just stick w/ this. i already have the 1030 now, Was using as upgrade to current system, but decided this PC from 2008 has lasted long enough, and my mobo doesnt detect new gpu's properly anyways. 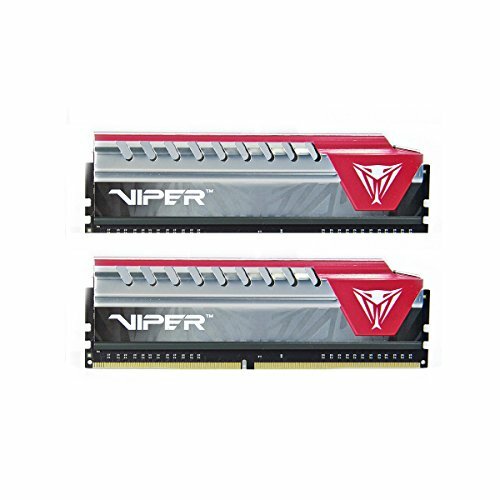 My budget is tight but i can make this build happen, So you say 2200G instead of 200GE, is this saving money or granting better performance? Link it if you dont mind. I don't think that's what he means, the 2200G has an intergrated gpu comparable to a GT 1030. 2200g is more expensive, but more preformance for sure. Single channel RAM is definitely a hindrance to any system. Storage needs vary but the vast majority of home/office builds don't need anything close to 1TB+ of storage. I always select quality power supplies and not whatever happens to be the least expensive. I understand what you mean about the single channel ram, but it is the cheapest ram (that I can find using the filters) even in the slower speeds range. As for the storage I do understand what you mean with 1TB+ being a lot of storage but some people will use this part list for budget gaming and as a family pc (meaning that some people will have movies, documents from multiple people, etc.) so thats why I justified 1TB storage, and I don't really think people will have that many apps on the SSD that it will get full but idk. For the PSU I chose it because, yes although it is on the cheaper side of the PSU's it does have 4 stars not only on PCPP but on pretty much every website selling it such as Amazon, Newegg, and OutletPC so from what I can tell its pretty reliable. Hi Have recently purchased the individual items as listed (with the exception of the SSD & DVD/CD writer). Having assembled the unit and powered on there is no display. Somewhat disappointed to say the least. Have googled the problem and it appears to be common occurrence. So have tried the most commonly suggested fix, clear cmos, still no joy. Have also taken the whole thing apart again and re-assembled. Still no joy. Starting to get a little frustrated now and would appreciate some guidance as to what I might be missing or have done wrong! This build won't work out of the box. Mobo BIOS needs to be updated in order to support 200GE, which requires the Mobo to be updated before delivery, or you need to use a temporary older processor to boot into the BIOS for a flash update, then swap out to the 200GE. RAM frequency might also be an issue...2400 may be a safer bet. https://www.asrock.com/MB/AMD/B450M-HDV%20R4.0/index.asp#BIOS See description for BIOS v. 2.20 and up. I bought these components and it won't post. Although it could also be the RAM frequency. I used 2800 and will be trying 2400 shortly w/ a Ryzen 2200GE. The BIOS notes aren't a great place to look for that information as it could simply mean "improved" support, better overclocking, more stability, etc. Ok so I finally figured out my problem with this build. You are correct, the Mobo and processors are compatible out of the box. The problem with this build is the RAM frequency. I tried the same combo with a Ryzen 3 2200G and it also didn't post. When I switched out the 2800 MHz ram with 2x 2400 MHz Ballistic sticks, it posted! Check out this page for more info re: processor and RAM frequency compatibility. https://www.asrock.com/MB/AMD/B450M-HDV%20R4.0/index.asp#Specification. it's more specific to the Ryzen series processors but it may help others in troubleshooting. Thanks and good luck! 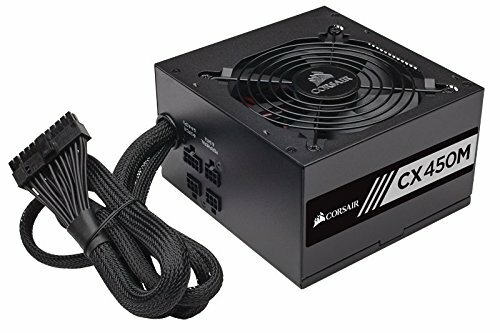 Could the Corsair CX450 be added to the PSU panametric filter? Just find a cheap PCIe WiFi card and add it if you must, or even a USB WiFi thing. This is particularly important because the Raven Ridge processors still don't have good support on Linux. They require kernel 4.19, which isn't available with e.g. the latest Ubuntu 18.10. And that's only for the CPU aspect. As far as I know, there's no official or unofficial driver for the Vega graphics side of the Athlon 200GE. You might want to send this as a DM from now on, because this reply in itself implies that resellers are an option. I.E. If I didn't know about them before reading your comment, then I do now and all I would have to do from here is hit up Google or Bing. can this computer run destiny 2? No lmao, like you probably can with more ram (16 gb but 8gb might be just enough) and a 570 or 580 so like around 150-200$ added to this build and you would need a better cpu so another 40$ for the 2200g. Has anyone tried building this one? I got all the parts and put it together and nothing. I read some reviews on a sellers website and some people were saying that this MB does not work with AMD Athlon 200GE. I tried clearing the CMOS but still nothing. What specific motherboard did you use? Yes, I may have gotten a dead MB. Also, the RAM I got is not listed as supported on their website, but it did not come up as having compatibility issues here. Should I try a different one just in case? I'd suggest making a post on our troubleshooting forum. The memory QVL is only a small subset of hardware that the manufacturer white-listed for compatibility and is not all-inclusive. Look at beQuiet! 300w PSU's instead. Very quiet and probably more reliable. No, you'd have to play on 720p low settings with the athlon 200ge and its integrated vega 3. Maybe even lower. This would make this build alot better. Great build otherwise! None of those things are needed for a purely home use/office machine.